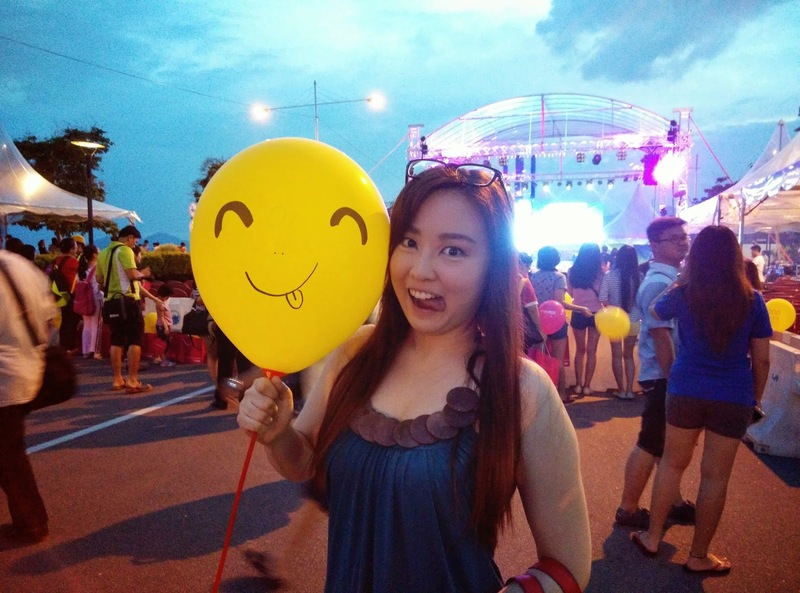 Potato Queen travel and lifestyle: Welcome New Year 2015! Sorry for the late update as I have been very busy for the past month. I will be busy again approaching Chinese New Year cleaning and repairing the house and the biggest challenge is to cook 6-7 dishes for my in-laws during CNY eve. Ok, challenge accepted! 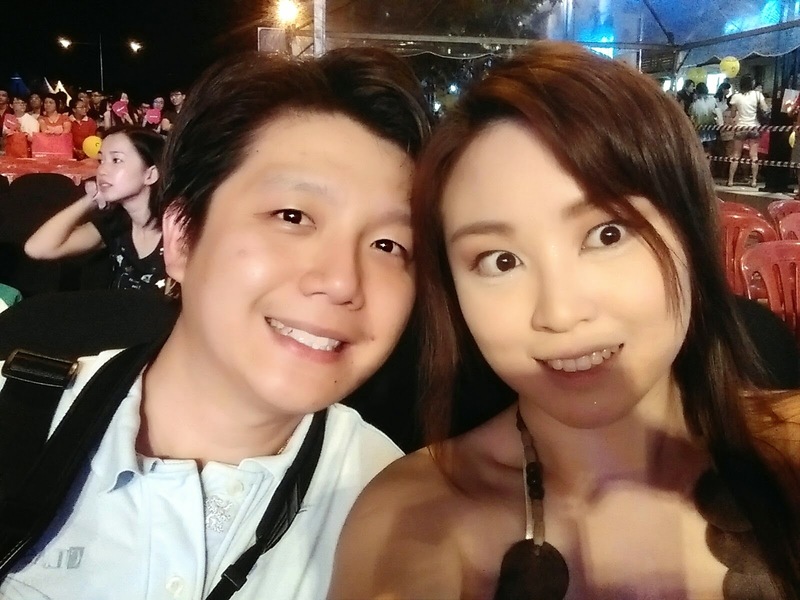 During New Year's eve countdown, hubby and I went to Automall at Karpal Singh drive. He was there for a photography competition while I accidentally shopping. I didn't expect a long bazaar of food stalls and online fashion stores parading in front of me. I will review about the clothes and jewelery I bought after I wear them for CNY. 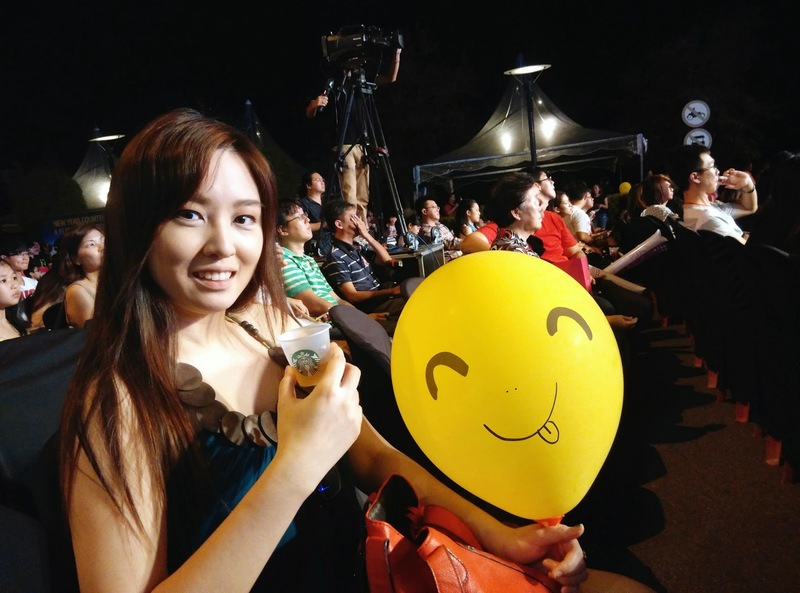 Balloons were given to the public for a cause. 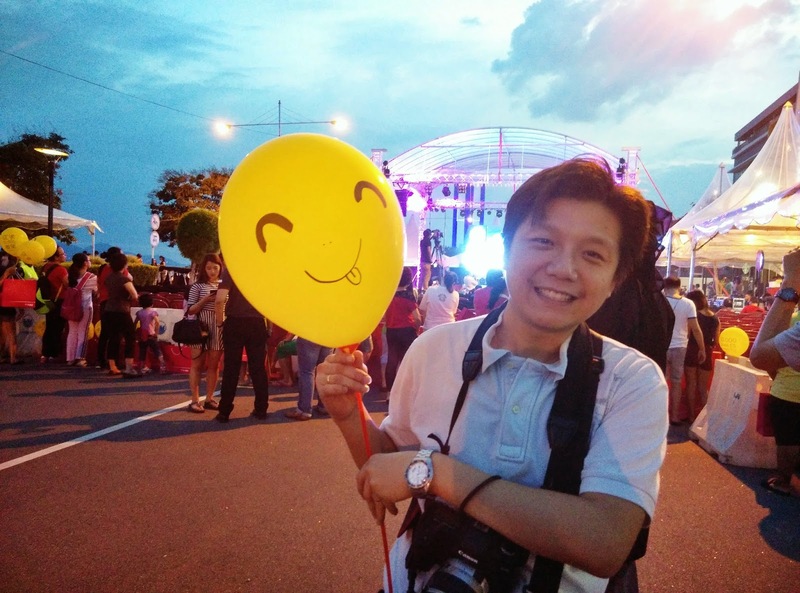 There's a website printed behind the yellow balloon for you to make donation to the flood victims of the east coast. The event started with introduction from the emcees followed by speeches from the organizer and handing cheque. I recognized one of the emcee was a finalist for Malaysian Idol season 1. Then there was a fashion show and performance by various artists. Because of unfortunate events happened to our country in 2014 as well as the event was to raise funds for the flood victims, no fireworks were used for the countdown instead balloons were released which I think is a great idea. Met hubby's ex-colleague who is also took photography as a hobby. After the accidental shopping I munch on this special waffle. 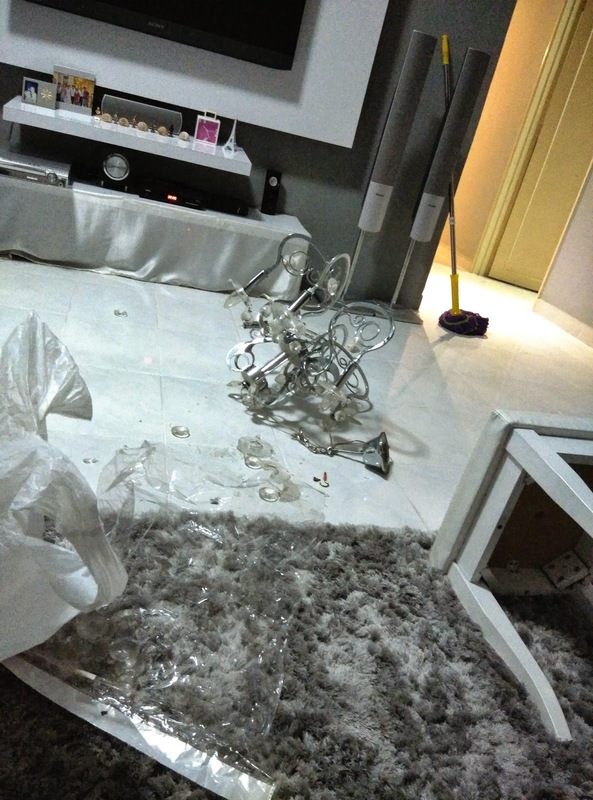 2 weeks ago my chandelier fell while I was cleaning for CNY. Wtf RM888 gone! Nice number coz it was on a discount during CNY 3 years ago. 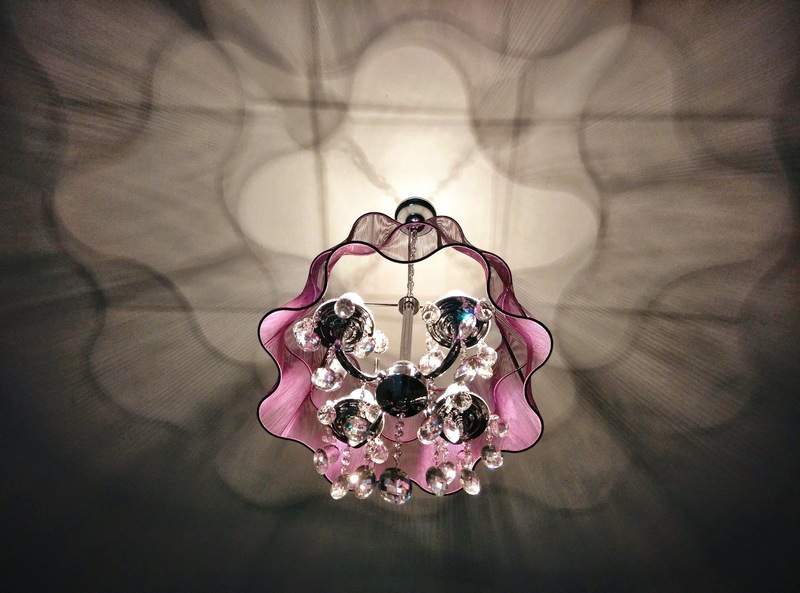 Being lazy I twisted the chandelier around to wipe the crystals and then I felt my chair was shaky. So I decided to get down and the moment I got down it came down with me. Luckily not landed on my head or I won't be typing away now. It was a close call and the most near death experience I have ever had. 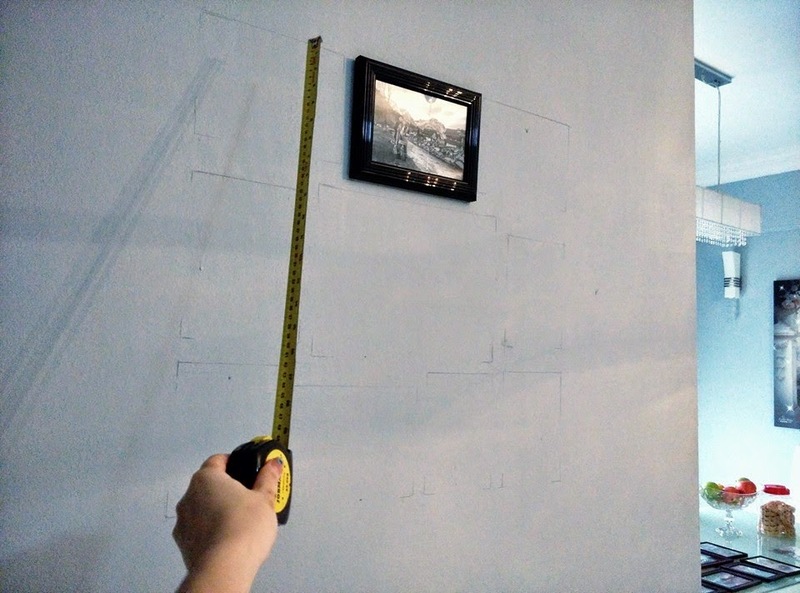 Note to everyone, make sure you know what kind of foundation your contractor uses to fix heavy stuff on the ceiling. Our previous contractor just used one screw wtf. Also do not pull or twist or apply any force onto your ceiling lamp unless you want it to drop. The very next day we hunted for a cheaper and smaller lamp and got this. It is only RM400 plus. 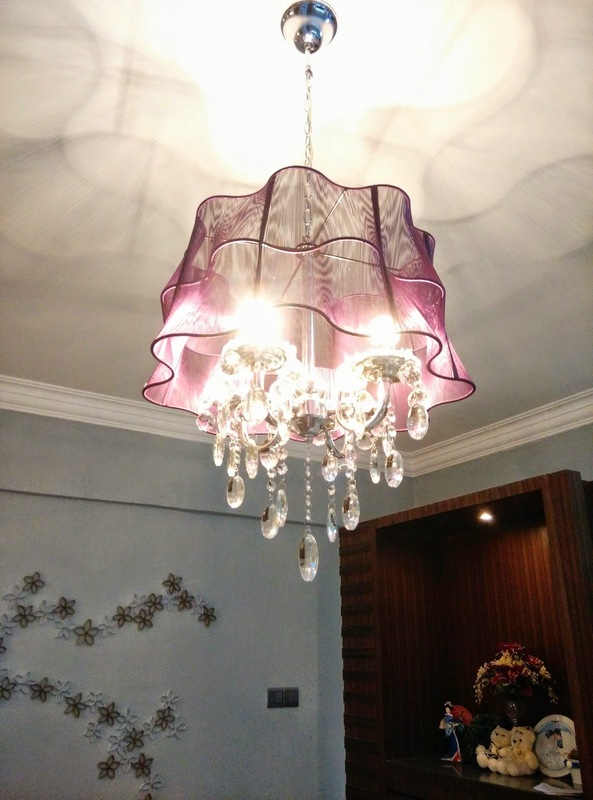 I would still choose a chandelier at any day coz it accents my living room and I have a thing for blings. Never realize such pretty patterns it creates when we purchased in the lighting store. 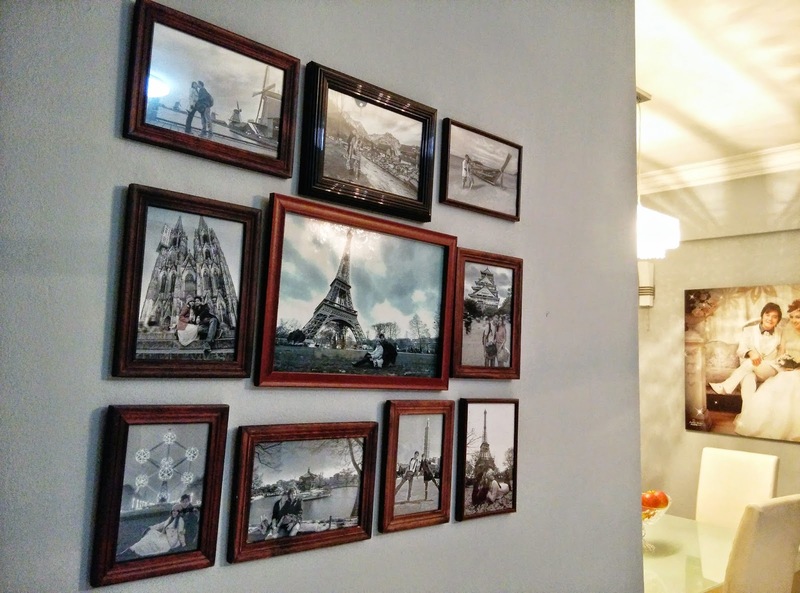 Last week I did some interior deco by placing some of my travel photos on the empty wall. It was tough to drill the hard concrete. But that's a husband's job lol. These photos are from 2012 till 2014. We had to ignore 2004-2011 due to lack of space and bad quality photos at that time. 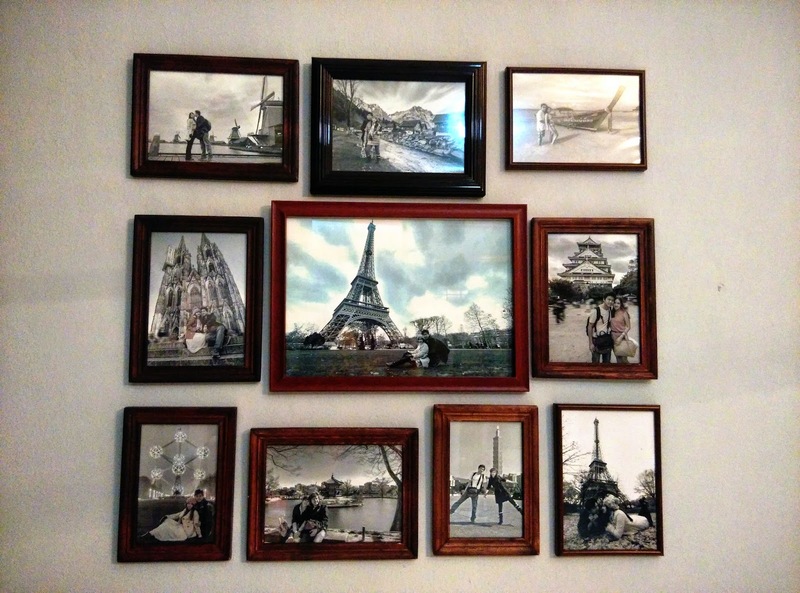 The Eiffel tower pic at the bottom was only temporary coz we reserved it for Macau. Hope to print more countries as there's another empty wall on the opposite...cross my fingers for New Zealand, Greece, Dubai, Egypt, Turkey, Eastern Europe and Scandinavia. Yes, Norway and Finland is top of the list for my photographer husband. 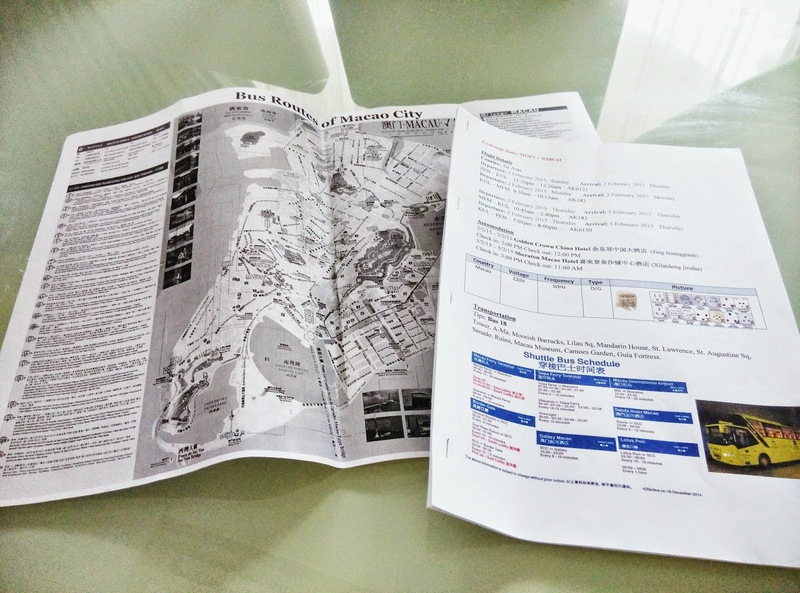 Finally Macau full itinerary done after just 1 month of planning. Damn thick for a short trip. I know this looks gross but it's an achievement for our little puppy, Benji to poo poo in the toilet by himself. We trained him twice a day by putting him in the toilet before his lunch and dinner. 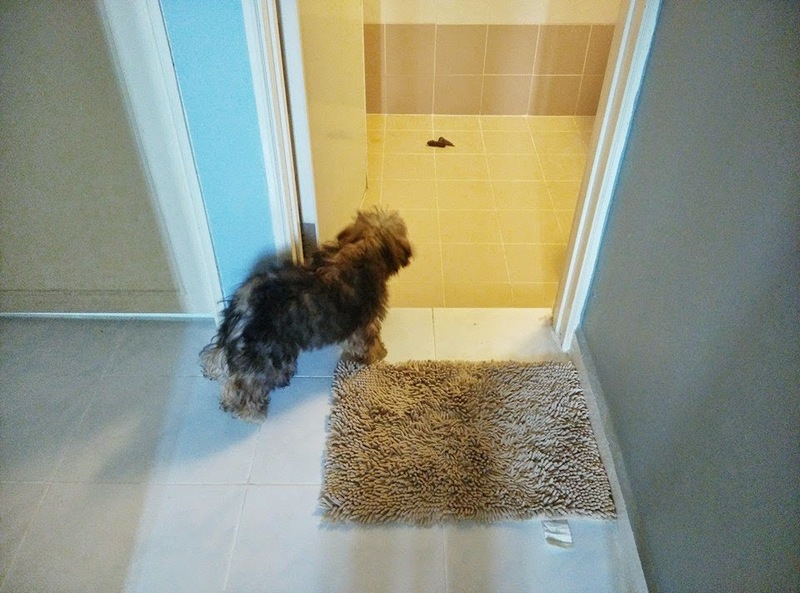 One fine day when he was tagging along with me into the kitchen he suddenly rushed into the toilet and poo by himself. How smart! 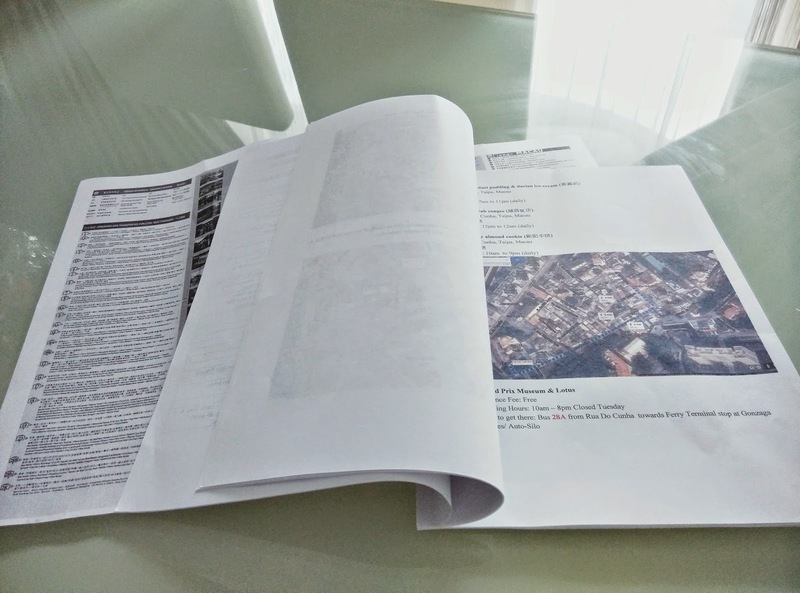 I have 2 dogs and 2 cats in total but that's another story which I will blog in a different entry. My first dog stays with my parents because he is very close to my father.